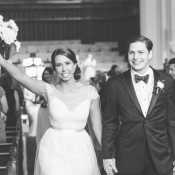 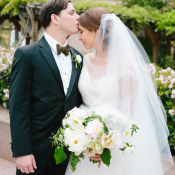 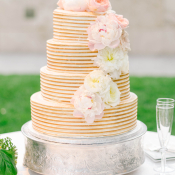 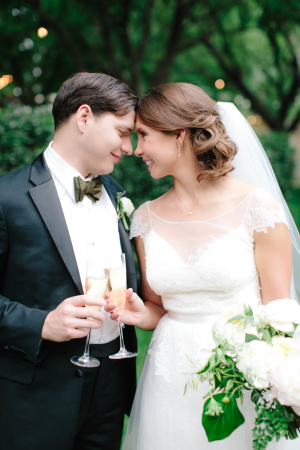 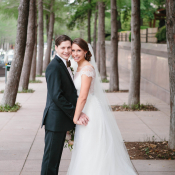 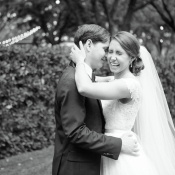 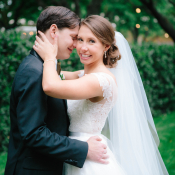 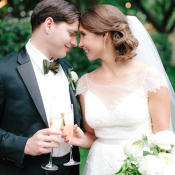 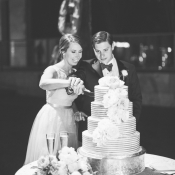 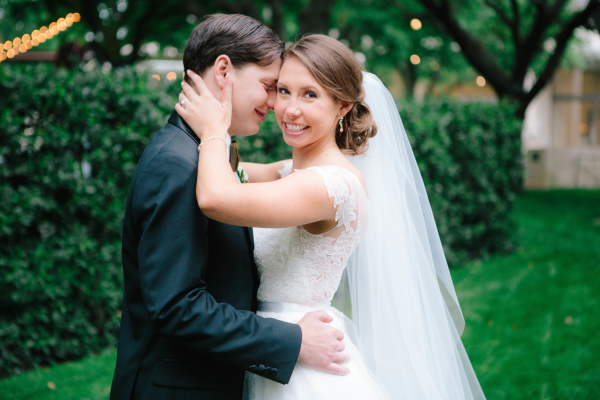 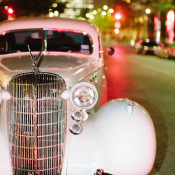 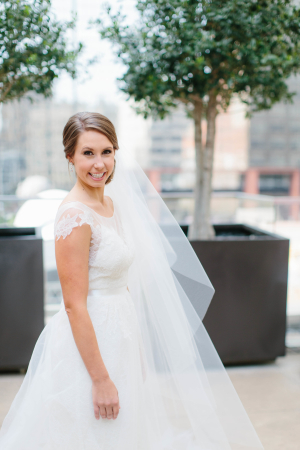 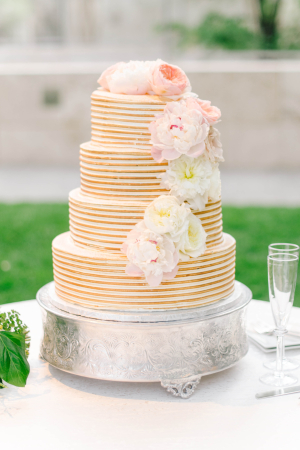 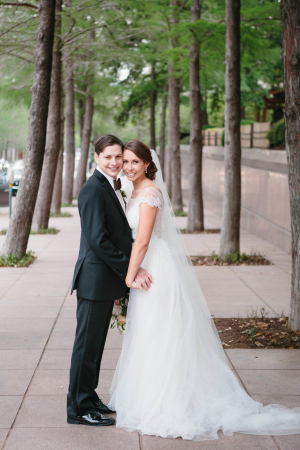 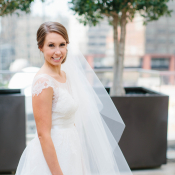 They say everything’s bigger in Texas, and that may just be true because we have a big crush on Rebecca and Ross’ Dallas wedding! 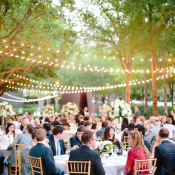 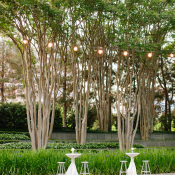 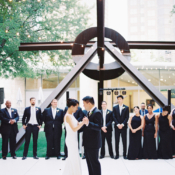 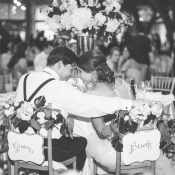 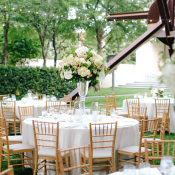 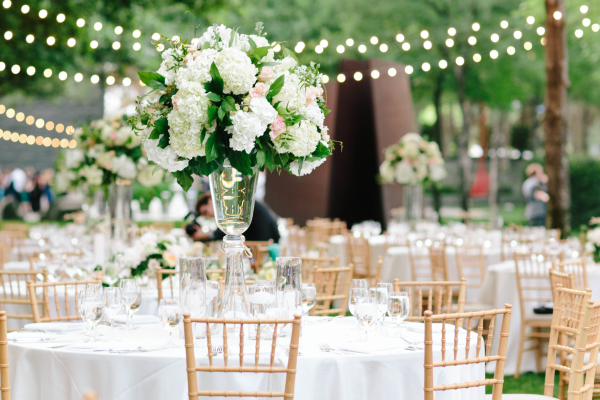 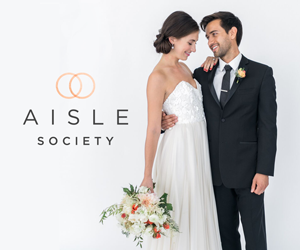 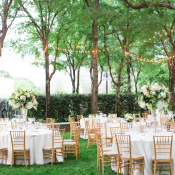 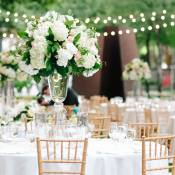 The picturesque Nasher Scuplture Center was a dream setting for their garden wedding, where tables were set amongst the larger than life sculptures and glittering lights were strung from the trees. 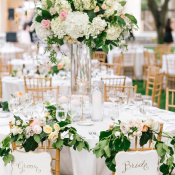 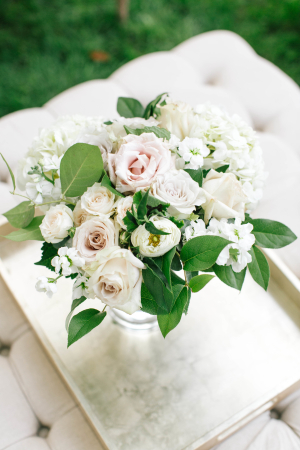 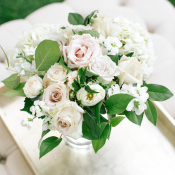 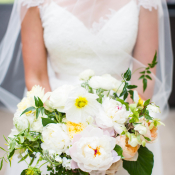 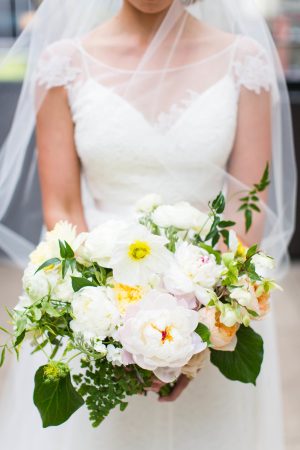 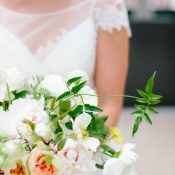 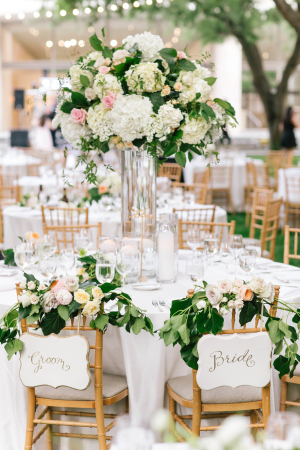 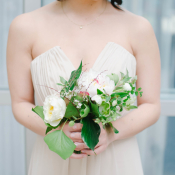 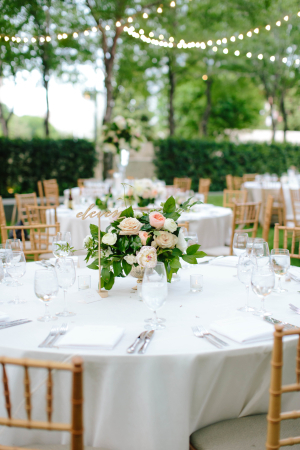 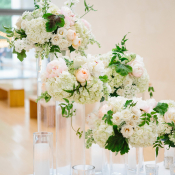 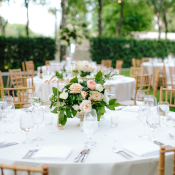 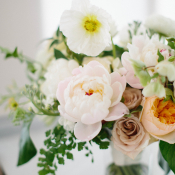 Rebecca wanted arrangements to mimic the garden setting, and Stems of Dallas delivered with loose, natural flowers in neutral hues with subtle hints of peach and green. 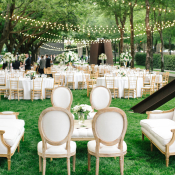 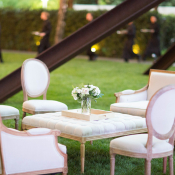 Everything about the day was so seamless that the couple’s wedding planner, Caroline Events, even described the grass as feeling as soft as a blanket! 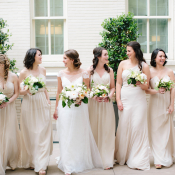 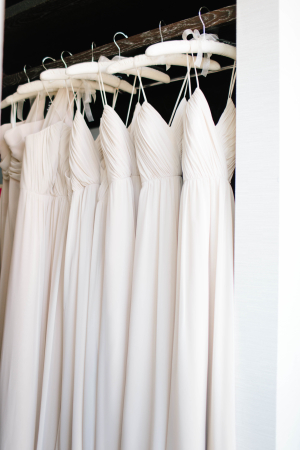 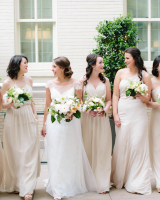 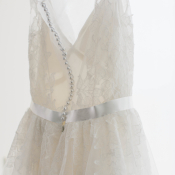 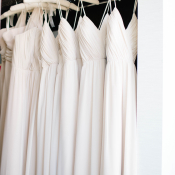 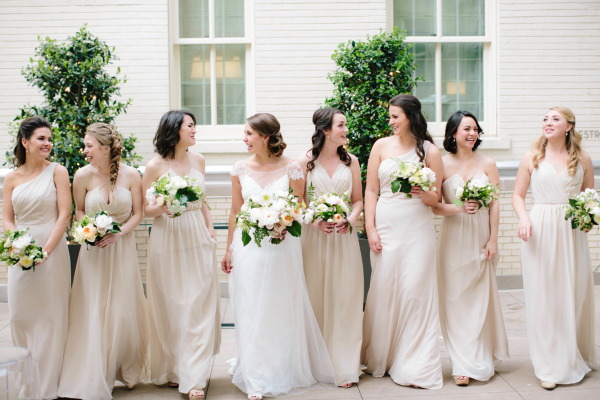 We adore the timeless feel of the bridesmaids’ ivory Jim Hjelm dresses paired with Rebecca’s floaty Watters gown from Mia Bridal Couture. 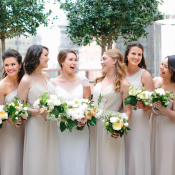 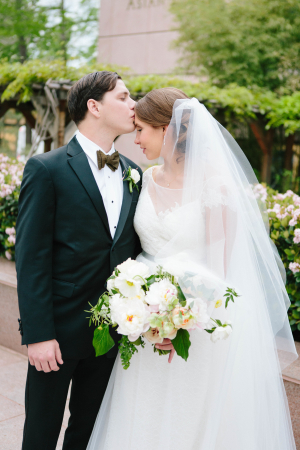 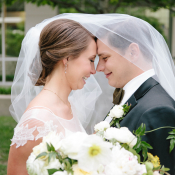 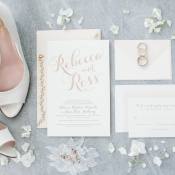 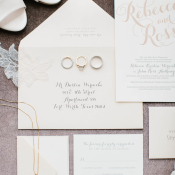 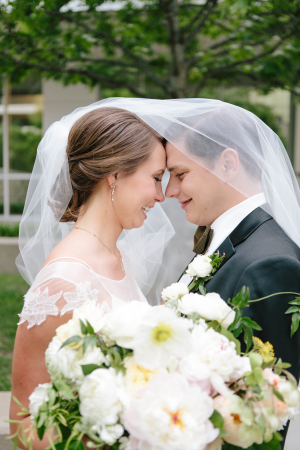 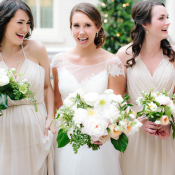 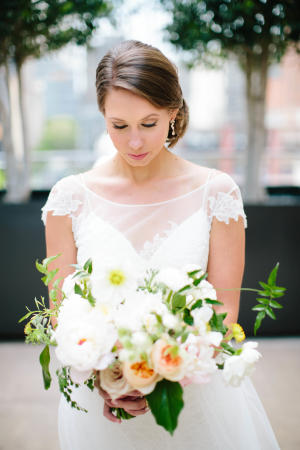 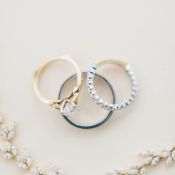 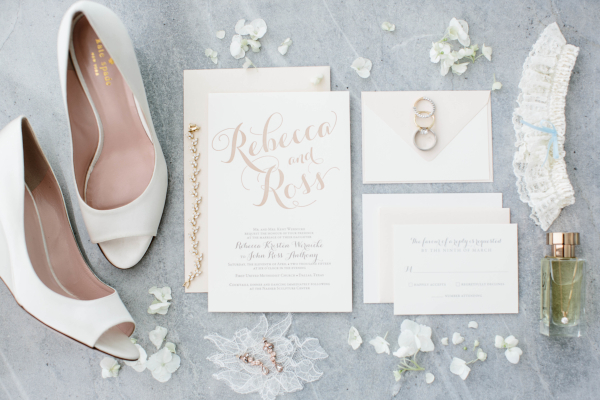 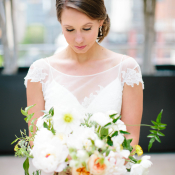 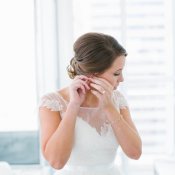 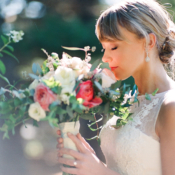 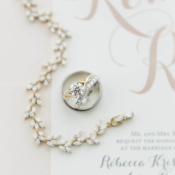 Utterly timeless and beautiful, this wedding is an instant classic—get ready to fall in love with the gorgeous images from Heather Rowland! 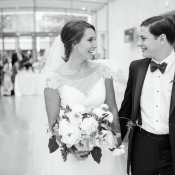 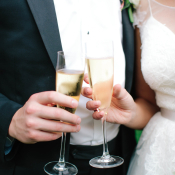 From the bride: Its hard for me to describe our wedding, because every word I can think to describe it is a terrible cliche, but those cliches are just all so true. 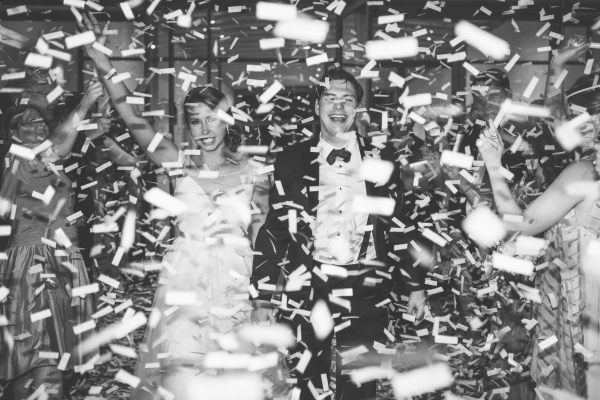 It was a fairy tale, it was a dream come true, and it was my vision come to life. 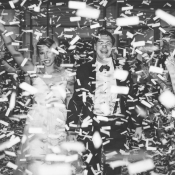 It was really just a perfect night, and I can’t think of a better way for me and Ross to have started our life together. 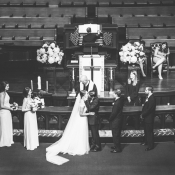 The ceremony in the church was emotional, and Ross’s cousin, a Methodist minister who performed or ceremony, really captured what we wanted our marriage. 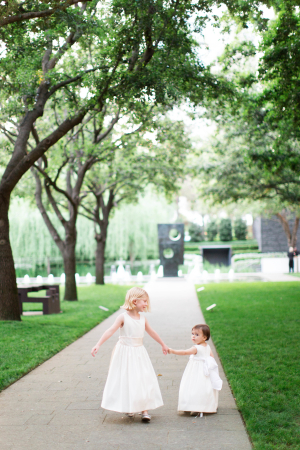 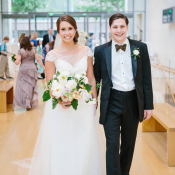 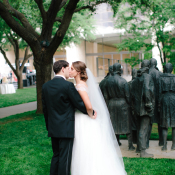 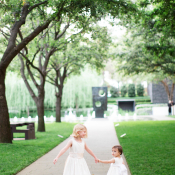 The reception at the Nasher Sculpture Garden couldn’t have been more picturesque. 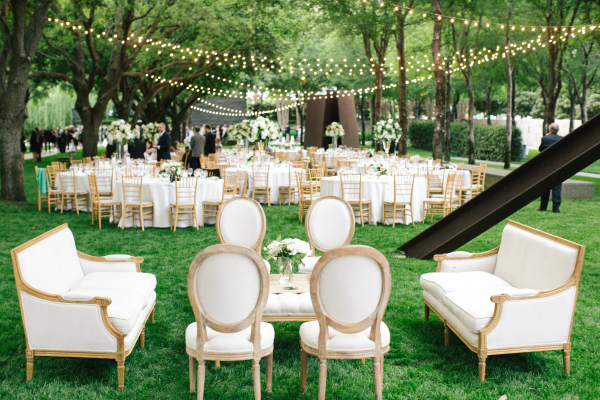 Everything, down to the grass (which my planner described on the day of the wedding as feeling like a blanket) was absolute perfection. 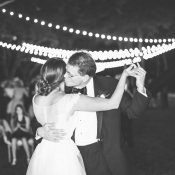 And most importantly, it was an awesome party; our guests stayed late and danced the night away! 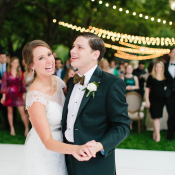 Ross ripped his pants right after our first dance! 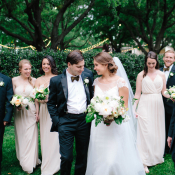 Guests around him could actually here the ripping sound when he meant down to pick up the flower girl, one of his cousins. 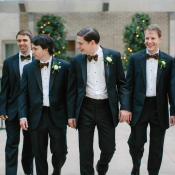 Luckily, one the groomsmen wore the same size as Ross, and traded pants with him. 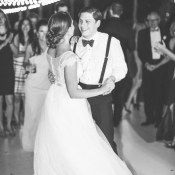 We heard he continued to wear the pants all the way to an after party at a local bar, ripped seam and all. 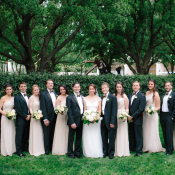 Otherwise, I’d just have to say the team of vendors we used was amazing. 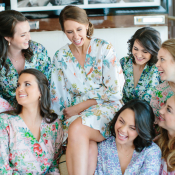 Everyone says something will go wrong on your wedding day, and our wedding was no exception, but nothing that went wrong was a real problem because we had this team of enthusiastic experts handling it. 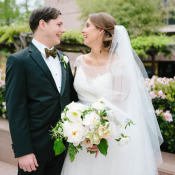 Instead of these problems troubling me, each time I saw them handle an issue like it was nothing, it made me more and more reassured that the day was going to be everything I’d hoped for.